The 9 hectare Flaxmore Vineyard is superbly positioned on the eastern edge of the Moutere Valley, 6 km from the coast and 60 metres above sea level. The north facing slopes include 2 distinct spurs and offer the attraction of clay gravels with free drainage. Planted in 2008 with a selection of premium clones on three different rootstocks to suit specific block characteristics, vine density averages 2,900 per hectare. The layout was configured as 6 distinct blocks; designed to work with the contours and avoid land disturbance by shaping or terracing. The viticultural regime is 2 cane vertical shoot positioning, minimal irrigation, low yields for fruit intensity via extensive shoot and bunch thinning; and handpicking. Airflow through the canopy is helped by the elevated site and further assisted by careful leaf plucking around the fruit zone, without excessive exposure to direct sunlight. 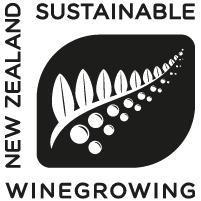 From the vine to the bottle our wines are fully accredited by Sustainable Winegrowing New Zealand.